 Since 1999, Killerspots has been known for its award-winning creative production styles. On-time delivery and customer experience are our priorities. Our radio commercials have brought in a multitude of success for our clients. Any Industry. Any length, voice, language and at any time. You get the point! Click the button below to listen to our demos and see if we’re the right fit for your business. Even if you are producing your own videos or projects, we have the perfect voice. Professional voices from all over the world can add the final polish to your project. You can add a dramatic movie trailer voice, any accent, or even a group of voices. We’ll match any style in any language! This allows you to target your specific audience. We create catchy jingles for radio commercials your customers will sing all day. Rock, country, jazz, pop…no matter the genre or mood! We will craft the perfect catchy tune for your business. Jingles are a great way to bring life to your radio spots and catch the ears of your audience. Affordable, professional quality on-hold messaging service, streaming music for business, website audio production, and voicemail / auto-attendant services are designed to keep your caller interested, engaged and on the line. Don’t let your on-hold music be a missed opportunity. With on-hold messages, you can start your conversation before you even pick up the phone!